The scapegoating of renewable energy subsidies has become a common theme in recent months, with sections of the media and some politicians choosing to place the blame for rising household electricity bills on economically viable renewable energy schemes such as feed-in tariffs for roof-top solar power systems. But a new study out of Canada shows the vilification of small-scale renewable energy isn’t just an Australian phenomenon; it also backs up what has been proven here at home in numerous reports: scrapping renewable schemes does nothing to curb rising energy prices. In fact, the key finding of Ontario’s Pembina Institute study, “Behind the switch: pricing Ontario electricity options,” is that energy generated from fossil fuel costs will only continue to rise sharply over the next decade, while the price of renewable energy will continue to decline, saving ratepayers money over the next 15 years. The report is a response to a Conservative government promise to scrap incentives for renewable projects under Ontario’s Green Energy Act and to implement large-scale natural gas power plants. It shows the cost of the Green Energy Act amounts to around $4 per month for households, and that if all renewable energy feed-in tariffs were scrapped this year, household electricity bills would still rise at roughly the same rate. 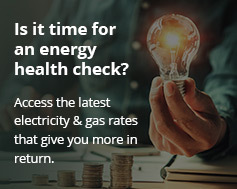 The findings are in line with Australia’s Climate Institute report, “Shielding the Big Polluters,” which states that despite a deliberate smear campaign against the contribution renewables make toward the national energy mix, the cost of incentives only adds about $1.20 per week to home power bills.